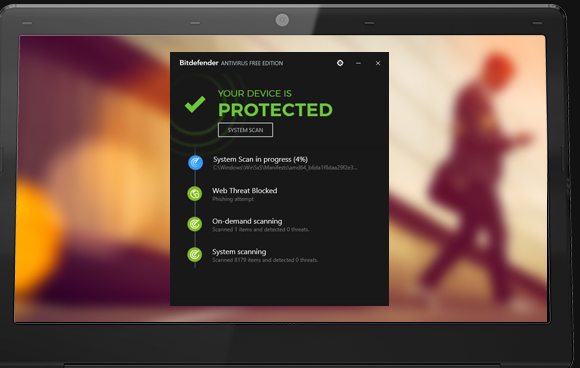 The new release of Bitdefender has come with more strong and powerful features to protect your system. Bitdefender 2017 comes with lots of new exciting and very advanced products like free Anti-Virus, Internet Security, Family pack etc. In this article you will find what’s new in each of Bitdefender 2017 products, their Offline and Web Installers. 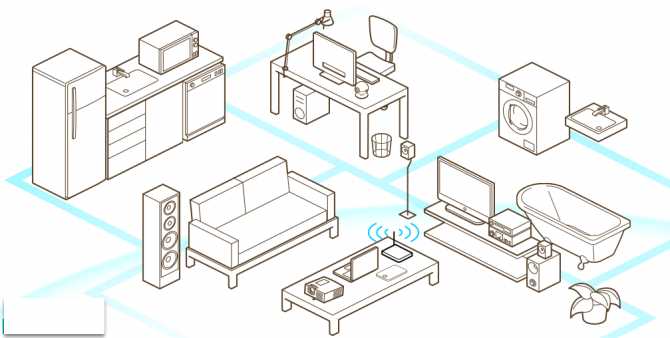 Offline installers help you to install them on your system even if no internet is available. Bitdefender 2017 free Anti-Virus is very advanced and light weight. It has more power to remove the all traces of viruses and malware from your system. It supports Operating System of Windows 7, Windows 8, Windows 8.1 and Windows 10. Once it starts downloading the required files, close it and follow the next step. This is the Pro version of Anti-Virus. Its license fee is $39.99 per year. This release has something go beyond the definition of antivirus.It prevents the most dangerous viruses from entering the system and provides your system with a firewall against every dangerous malware. 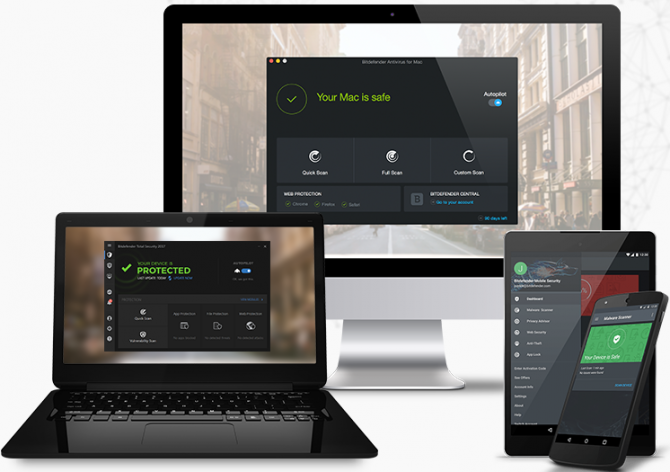 Bitdefender Total security provides you all in one package for all of your devices that is Windows, Mac, Android or other. So now no need for separate security plans for each device, Go with Total Security and you’ll have lts of exciting and usable features. In Bitdefender Total Security, most new technology for the prevention of threats is used. It’ll protect your system without making its low or crashing down. It can be called as best security cross platform protection and performance. Its annual fee for one device is $44.99. It takes care of all of your online shopping and banking and don’t let to track any one your personal information. Its license fee is $39.99 per year for three devices. It is new and latest technology provided by Bitdefender that is a small solution for all purposes. It is the box that includes hardware, cloud and software mixtures to protect you and your family. It protects all devices connected to internet. Wherever you go, it provides cyber security for your devices. It scans flaws and threats continuously. It Blacklist the unsafe and insecure websites. So now this Box secures all your devices and your running applications. Its registration fee is $129.99 per year. Bitdefender Family Pack 2017 provides you complete security for all of your devices for your whole family.it is very advanced and powerful but very simple in use and provide you best security for your family. Protects your all Windows, Mac and Android devices. You can install Bitdefender Family pack 2017 for all your home devices through Bitdefender dashboard. You can sign up for the dashboard and install the family pack on any no. of home devices as you want. These all are the products of Bitdefender 2017 and their offline installers. I hope this article will provide you all your required products and their main and advanced features. Can you update links to 2018 version ? Bitdefender Antivirus Plus 2017 is a free link that is, like a free version. Please update links to offline installers of Bit Free Antivirus. That already offical download link, Bitdefender may avoid offline install already..